Passion. Serendipity. 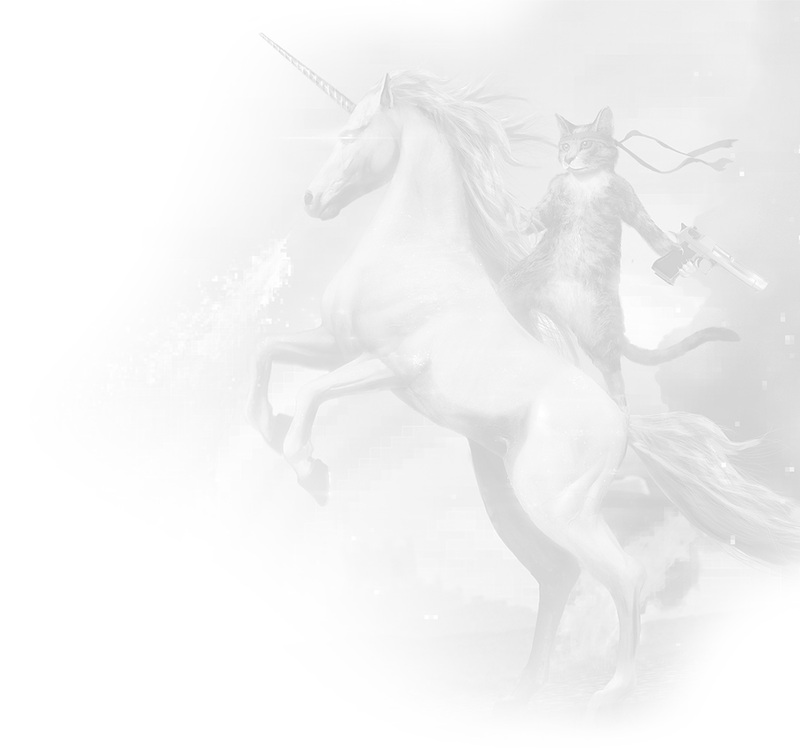 Gun-toting cats atop flame-nostriled unicorns. These are the things of the Karben4 saga. Hold onto your butts. Tell me, do you believe in unicorns? Karben4 commenced operations and opened for business as a startup brewpub on the eastside of Madison in December 2012. Initially our beer was only available on draft out of our taproom as we worked to bring our flagship beers online and introduce ourselves to the community. Our vision has always involved becoming a full scale production brewery but we felt that it was necessary to start small and assume organic growth producing all of the beer ourselves, out of our own facility, in an effort to bring consumers an authentic and original product. It kinda looks like Ryan saw a butterfly and it made him happy. In late February of 2013 we decided to commence self-distribution via kegs only in Dane County. We began by meeting with local restaurants and bars, introducing ourselves, providing samples of our beer and asking (begging) for a tap line. One month later we had a couple of local accounts that were gracious enough to give us a chance. We would load kegs into the back of our 1998 Ford Ranger Sport twice a week and hand deliver our beer. By the fall of 2013 we were self-distributing Karben4 beer to over 35 retailers in Madison. Demand had grown beyond a point that we were able to facilitate in house so we partnered with a locally based distributor and handed off delivery and sales logistics. We added a few more fermenting tanks, hired additional production staff and within weeks increased our retailer account base to well over 100 bars and restaurants across the Madison areas 6 county footprint. As we rolled into 2014 our rate of production effectively tripled over the previous year. Distributors from other markets called on us but we felt that it was very important to continue to grow slowly and methodically. Our main priority was to make the best beer possible while filling out, saturating, and servicing our home market. 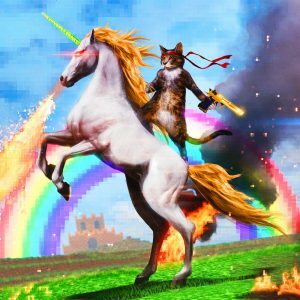 This is the famed cat-god Rufius Maximus riding his noble steed, Jerry. For the first 3 quarters of 2014 K4 was still only available via kegs. This gave us time to create demand for packaged beer and allowed the market to decide for us what K4 beer should be racked into bottles first. In an overwhelming fashion Madison area craft beer drinkers decided that our flagship was to be Fantasy Factory India Pale Ale. We racked Fantasy Factory into bottles for the first time in October of 2014. This catapulted us into another whirlwind of growth and exploded our brand across the greater Madison area to a point of saturation that we felt ready to expand distribution into another market. At the tail end of 2014 we signed another distribution deal and began to send our beer to the greater Milwaukee market. Additional tanks were added to our production space and our team grew even larger. K4 was now available via draft and bottles across the large majority of southern Wisconsin. 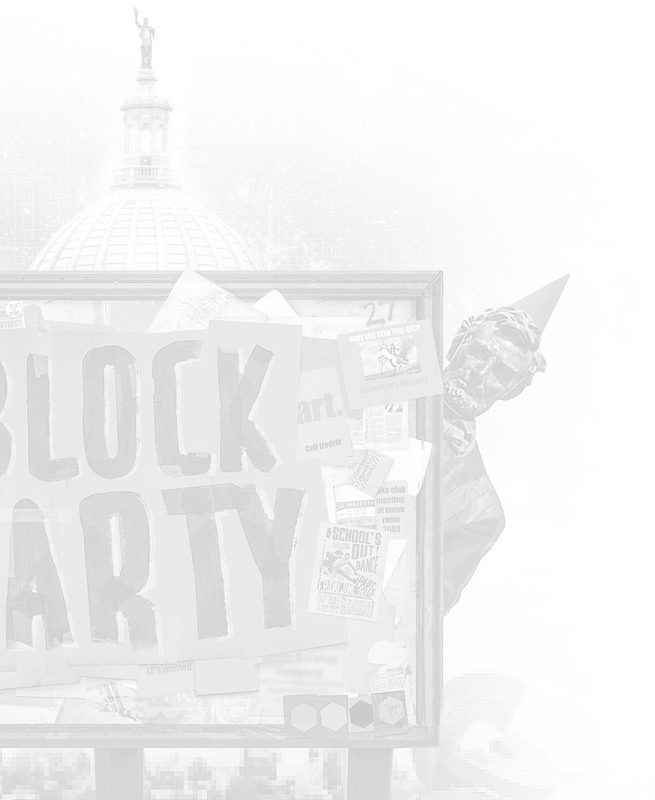 In the first half of 2015 we added two more packages – Block Party Amber Ale and Lady Luck Imperial Red. In the summer of 2015 we introduced our first seasonal packaged beer, Idiot Farm Imperial IPA. With the additional packaged beer, increased staff and production capabilities we worked very hard to continue to service and grow our home market and also to fill out Milwaukee in an attempt to duplicate the success we had in Madison. 2015 was flying by – the Milwaukee market embraced us with open arms and we were once again on our way to tripling our production levels over the previous year. In January of 2016 we introduced our second seasonal packaged beer, Silk Scorpion Black IPA, which we began distributing to Madison and Milwaukee. During the first quarter we also spent a great deal of time developing our fourth flagship package. It was to be called Dragon Flute. We bottled and sent this American Pale Ale to market in April 2016 and it has quickly become our second best selling beer behind Fantasy Factory. In July of 2016 we opened Karben4 distribution to a third market and sent our first shipment of beer to the Fox Cities. Ryan, Zak and Alex all grew up in Appleton so this distribution jump was especially meaningful to them as they will now have a chance to present their brand and offerings to friends and family. As we work to fill out the Fox Cities marketplace we hope to take full advantage of our production capabilities and effectively redline our current facility – which has the capacity to produce 15,000 barrels of beer on an annual basis, supplying K4 product to thousands of retailers. The brewery looks quite a bit different today than it did almost 4 years ago – it’s not as easy to move around back there with 12 fermenting tanks, 4 bright tanks, a centrifuge, an operational bottling line and a team of amazing brewers packing the space but we would not have it any other way – it is a tangible realization of our dreams and a justification of the blood, sweat and tears that we have put into this business thus far. But we also realize this is still the beginning, and we could not be more optimistic of what the future might hold for Karben4. Where did the name Karben4 come from? We wanted to create a made-up name that did not already exist in any other capacity. This was an effort to rid consumers of any potential preconceived opinions or bias – so that our name would simply act as an extension of whatever we exuded as a company. This allows us to further define what ‘Karben4’ means every single day as we continue to operate and market the business. Conceptually the name is rooted in the foundational element of all organic life: carbon. This is married with beer’s history as being the foundational essence of civilizations. We chose the phonetic spelling and added a numerical character for differentiation purposes.